Northwest Trek Wildlife Park is well known for their eye-to-eye wildlife attractions, but they were competing for attention with waterparks and beaches, so they needed to up the ante. 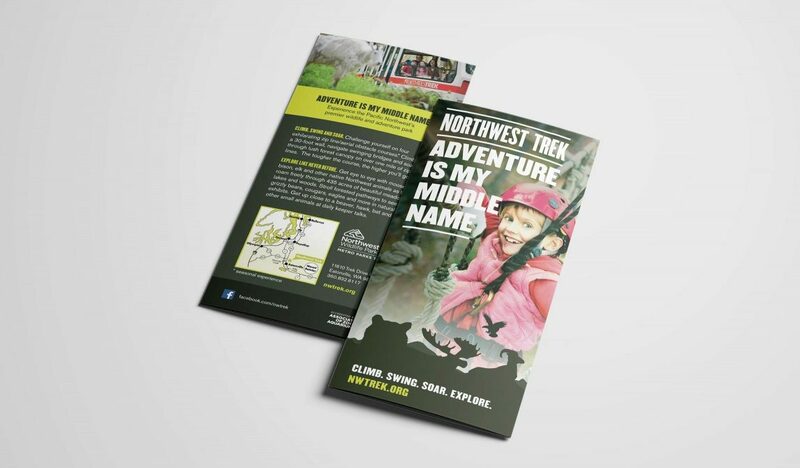 This summer ad campaign worked to change audience perceptions and reposition Northwest Trek Wildlife Park as the ultimate adventure destination for the whole family. 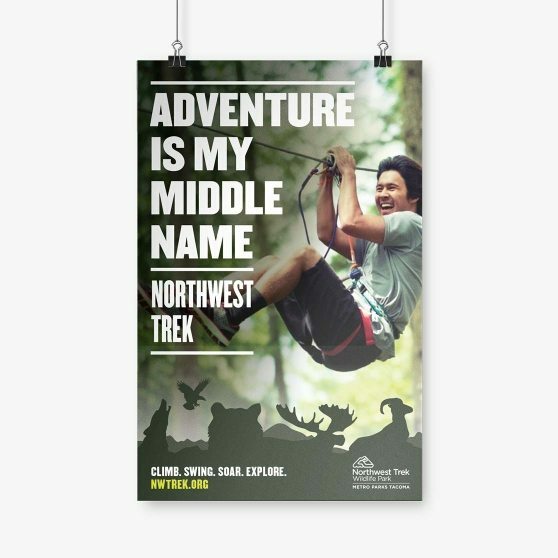 No matter what your real middle name may be, it’s always “Adventure” at Northwest Trek. 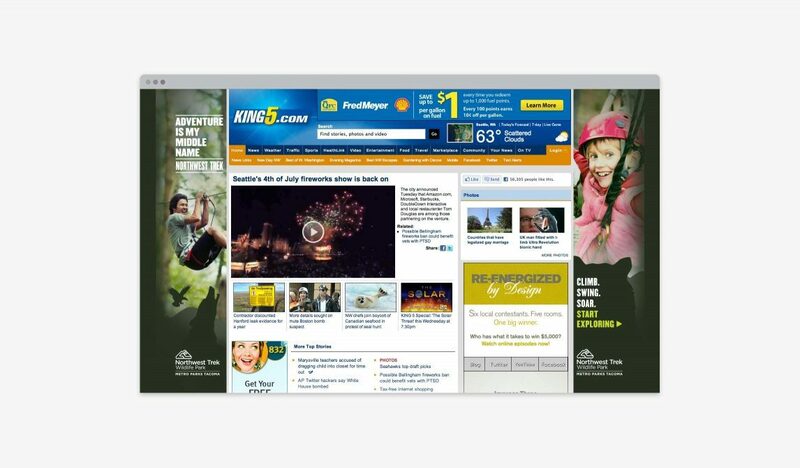 We wanted to flip the script from showing the wildlife visitors see to showing the experiences they have. 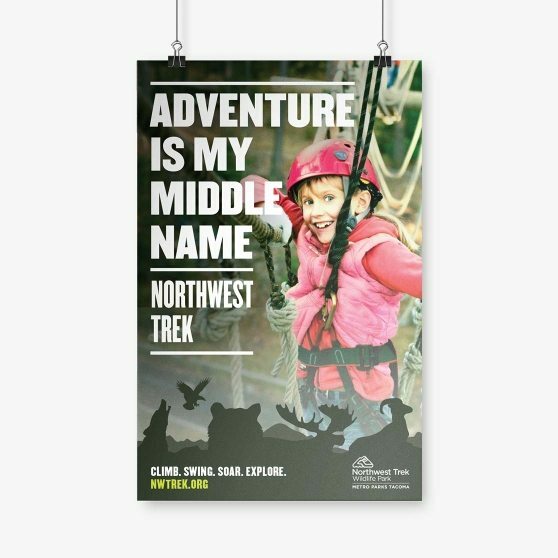 Dynamic, in-action imagery of park visitors on zip lines and ropes courses, and a simple, strong, first-person headline anchored in bold type do the talking—and do it in the voice of the customer instead of the park. 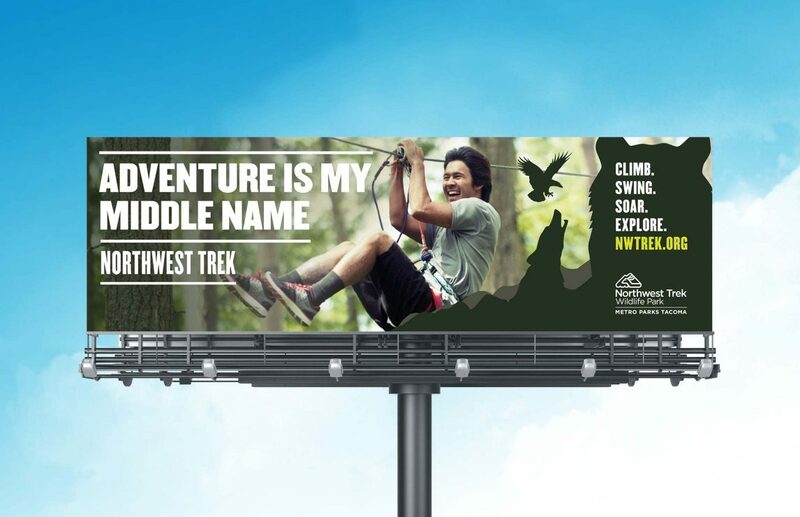 A set of memorable rhyming words finishes the message, hinting at the breadth of Northwest Trek activities by conveying the experience they offer. 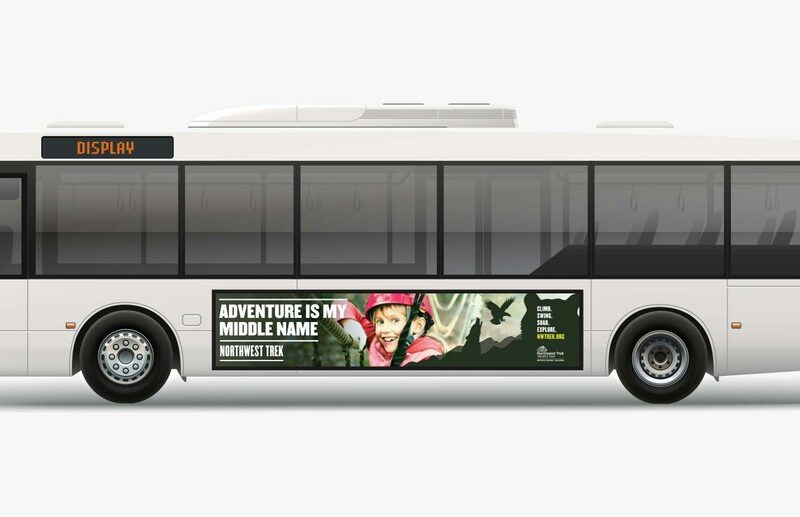 Subtle animal silhouettes complete the scene and beckon visitors to come experience a whole new kind of adventure.